The outgoing committee was applauded and thanked at this year’s AGM following acknowledgement of their significant success. Achievements included development of our professional local website; Facebook growth with over 300 post & 89 video views in the previous week alone, key stakeholder participation in the GE Council Community Safety Committee; and commencement of a fully funded social media project to build our online presence and grow our following from hundreds to many thousands. 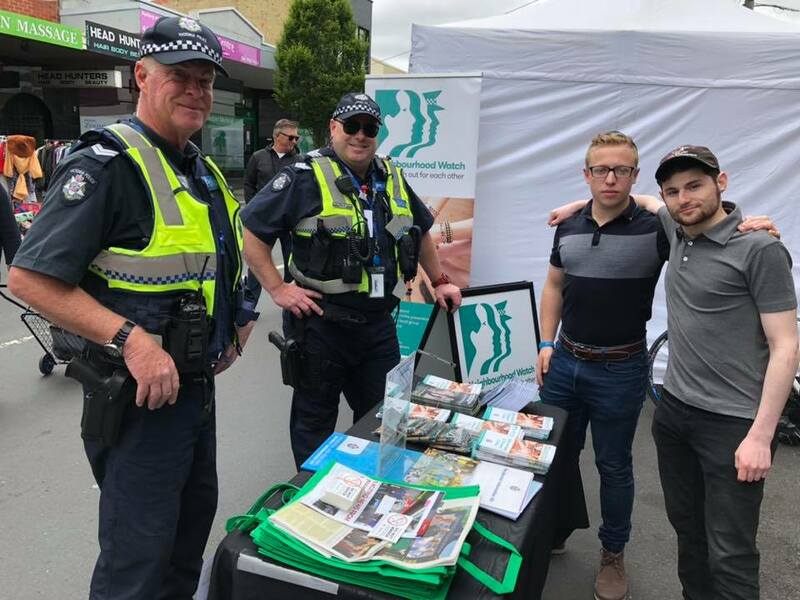 Bradley Hain representing Neighbourhood Watch Glen Eira and Fletcher Same representing Neighbourhood Watch Frankston promoted Crime Prevention & Community Awareness on Sunday 25th November 2018 at the Bentleigh Festival NHW Stall. 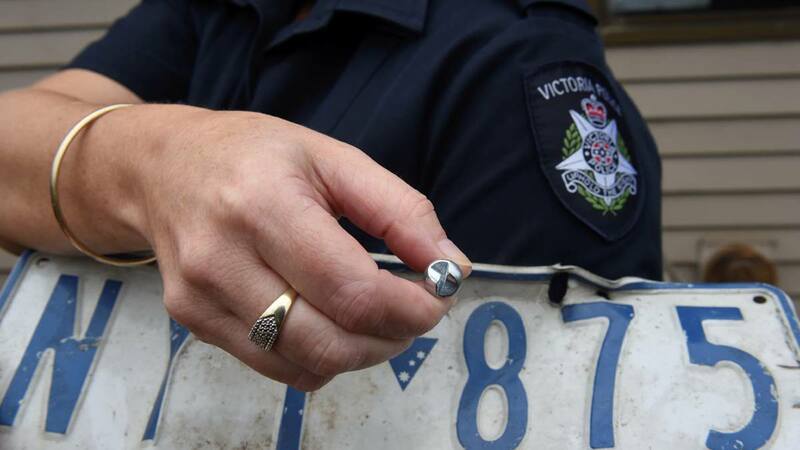 FREE one-way anti-theft number plate screws were fitted to cars as part of the LOCK IT OR LOSE IT campaign. This prevents them being stolen. A stolen number plate is not just an inconvenience. Your number plates can be fitted to a stolen car and that car used in a range of crimes – such as the theft of petrol. 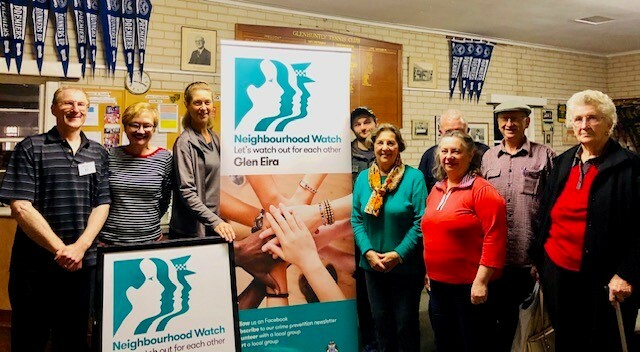 NHW collaborated with Victoria Police & Glen Eira Council to connect with local residents building safety within our community. The NHW Glen Eira digital group officially launched with David Southwick MLA as its patron, Leading Senior Constable Gary Oram as its Police Liaison, and Cr Dan Sztrajt as its liaison with the Glen Eira City Council.